As home security technology continues to improve, more and more types of home security cameras are appearing on the market. Any model will help make your residence more secure, but decoy cameras are really not recommended. 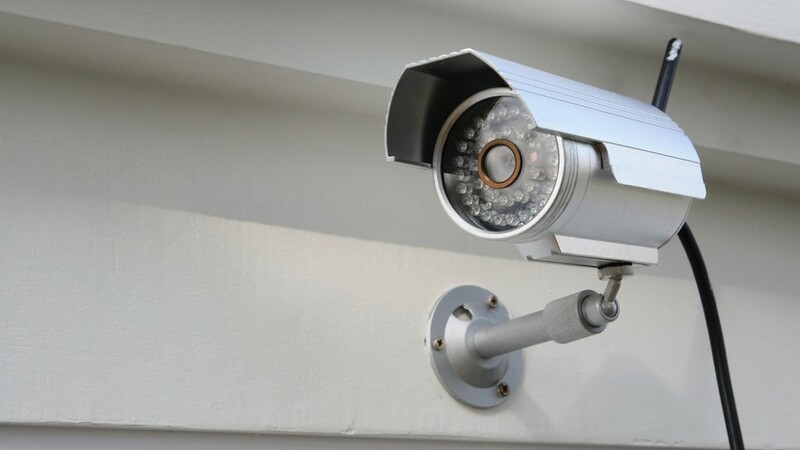 The right home security equipment and features can produce better footage and deter criminals with greater success. No one type of camera is best for every location, and your ultimate choice will depend on your several unique different factors. Black and white cameras generally record the sharpest images in low-light conditions. They work well in many indoor areas. On the other hand, color units perform best when there's plenty of light available. Consider placing color a home security camera outdoors or in an area where electric lights remain in use at all hours. Some sophisticated models can even switch between color and B/W depending on lighting conditions. Certain home security cameras are specifically designed for varying amounts of light. A lower LUX rating means that a camera can record clear footage in darker places. Night-vision, day/night or zero-LUX cameras will even function under complete darkness. On the other hand, standard daytime units cost less and work well with adequate sunlight or artificial lighting. They should be placed to capture criminals' faces before they can turn off any nearby lights. Focal length is typically measured in millimeters (mm), and the type of home security camera lens you settle for will determine how wide and tall an area it will monitor. A shorter lens can record footage of a larger zone while a longer unit captures a smaller area but provides greater magnification. For example, a long lens will be preferable when you want to monitor a single door. If a home security camera records high-quality footage, you may be able to identify criminals' faces or read their license plates. Network-connected digital units generally produce sharper images than analog models. Different brands use a variety of measurements to rate picture quality, so be sure to consider what you are actually interested in recording. Also remember, a higher resolution requires more disk storage space too. Pan-tilt-zoom functionality gives you the ability to remotely adjust the position and focal length of a security camera's lens. Some models also feature motion detection; they will automatically focus on anything that moves. This enhances the quality of the footage and further helps to deter criminal activity. It's not surprising then that home security cameras with this feature costs more than the units which mount in fixed positions. Indoor or Outdoor Home Security Camera? An indoor home security camera is naturally only designed to withstand normal indoor conditions while outdoor models can withstand rain, snow, bright sun, wind, and harsh temperatures. Outdoor units are more likely to prevent crime because thieves see them before breaking in. If necessary, it's possible to use an outdoor camera inside of a home too, but not vice versa. Home security cameras come in a number of different shapes and sizes. Box and especially bullet-style models are more visible to onlookers. This deters crime but may also attract brazen vandals. It may negatively affect the appearance of the property. Dome-style units, on the other hand, are harder to see. They're more likely to record the actions of unsuspecting criminals, and some models are even designed to thwart vandals. Although many home security cameras lack this feature, some surveillance cameras have built-in microphones. The ability to record audio isn't particularly important in most situations, but it might help you identify a familiar criminal by voice. Sound recordings may also enable you to document a crime in greater detail. This feature is more useful in low-noise environments. Make sure to check local rules and regulations on audio recording, however. A wired home security camera will produce clear recordings and transmit them securely and, therefore, requires far more installation work. You'll need to pay for lengthy wires as well, and it's difficult to reposition cameras or monitors once they have been installed. New wireless models use encryption, so you can easily place them anywhere at any time. They're also more secure than they were in the past. Many modern surveillance cameras take wireless a step further by allowing you to view footage from any PC, tablet or smartphone with an active high-speed internet connection. They accomplish this by connecting to your internet service provider via network cable or Wi-Fi. Nevertheless, you may save some cash by choosing a basic model that only communicates with a video recorder or monitor. It can be a bit overwhelming to consider all of these features and specs. The best place to start is identifying locations where someone is more likely to break in or commit crimes. Such areas might contain valuables or be difficult for passersby to see. After finding the best places to install a home security camera, assess the vulnerabilities, dimensions, and lighting of these zones. The most suitable monitoring features will depend on your lifestyle and the computer equipment you own.